We live in a surveillance society. Anyone who uses a credit card, cell phone, or even search engines to navigate the Web is being monitored and assessed—and often in ways that are imperceptible to us. 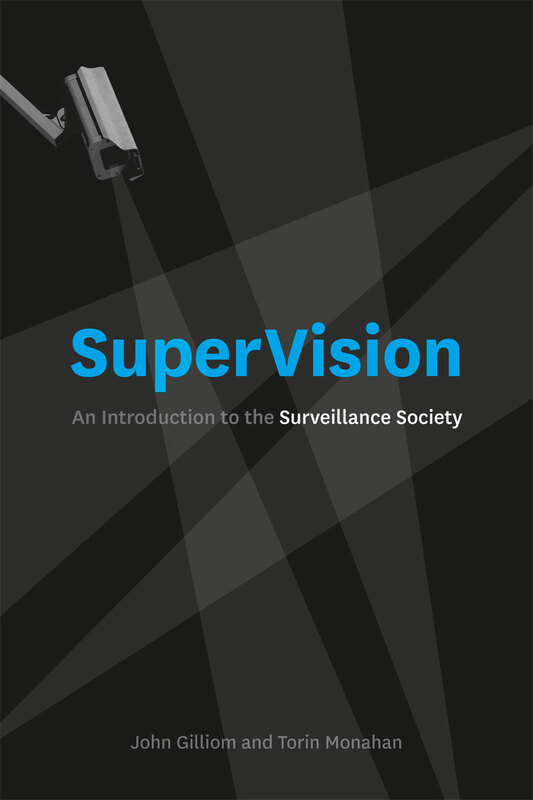 The first general introduction to the growing field of surveillance studies, SuperVision uses examples drawn from everyday technologies to show how surveillance is used, who is using it, and how it affects our world. Beginning with a look at the activities and technologies that connect most people to the surveillance matrix, from identification cards to GPS devices in our cars to Facebook, John Gilliom and Torin Monahan invite readers to critically explore surveillance as it relates to issues of law, power, freedom, and inequality. Even if you avoid using credit cards and stay off Facebook, they show, going to work or school inevitably embeds you in surveillance relationships. Finally, they discuss the more obvious forms of surveillance, including the security systems used at airports and on city streets, which both epitomize contemporary surveillance and make impossibly grand promises of safety and security. Gilliom and Monahan are among the foremost experts on surveillance and society, and, with SuperVision, they offer an immensely accessible and engaging guide, giving readers the tools to understand and to question how deeply surveillance has been woven into the fabric of our everyday lives. 6 Security at Any Cost? "An invaluable Rough Guide to our rapidly developing surveillance society. John Gilliom and Torin Monahan chart the pitfalls and the potentials of emerging monitoring practices in an engaging fashion, pointing out some of the more colorful examples along the way. Above all, the book forces all of us fish in the bowl to confront the universal medium we are swimming in: the pervasive practices of surveillance that have colonized our world, from workplace to social space, in the name of efficiency, productivity, and security." "SuperVision does an excellent job of both accentuating how surveillance now penetrates almost every sphere of our existence and raising some of the most pressing social and political questions of our age." "John Gilliom and Torin Monahan unveil the purposes and implications of the surveillance practices embedded in the technologies we have come to take for granted and increasingly rely upon in our daily lives. Their examination of the evolution and social meaning of surveillance in a range of contexts is important reading and their ‘ten big ideas’ provide a set of valuable principles that readers can use intelligently in traversing their everyday lives."